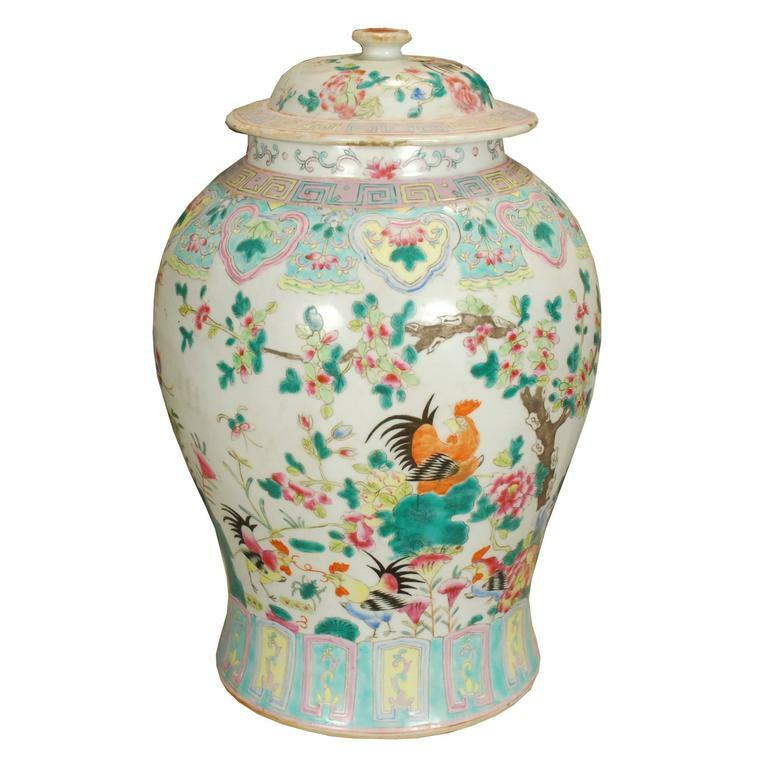 This Flowering Rooster Baluster Jar is no longer available. 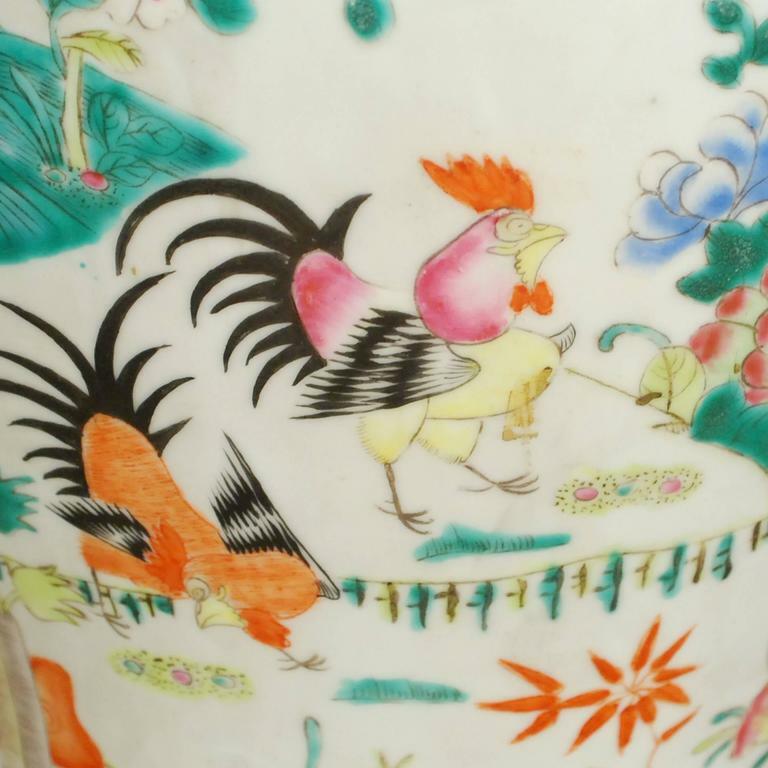 This overglazed porcelain jar from Southern China was painted by hand at the turn of the century with roosters in a flowering garden, representing the charms of rural life. 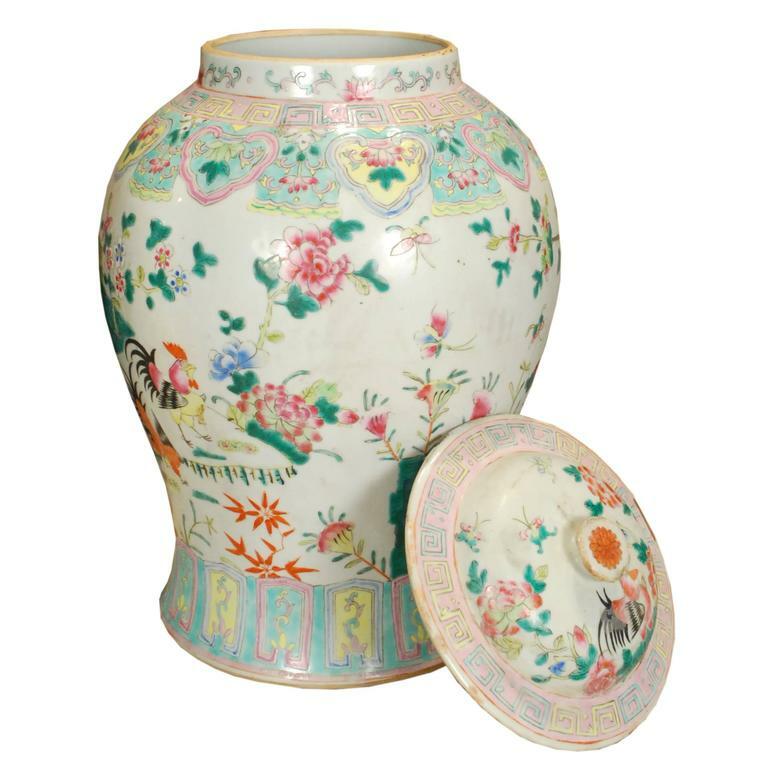 This intricate and colorful style of porcelain gained popularity in the 19th and 20th centuries and was highly sought after by the American and European elite. Early 20th century Dutch Delft lidded octagonal baluster jar, signed Boch Freres Keramis Blue and white Measures: 15.5" diameter x 29.5" T (22" T without lid). Charming Paris porcelain hotel vase of baluster shape, decorated with gilding and a portrait of the Virgin Mary hand painted in a reserve on the vase. France. Napoleon III period. Fine pair of mirror-black Chinese Porcelain Jars of ovoid shape with monochromatic “wujin”glaze, one with six-character Kangxi mark on base. 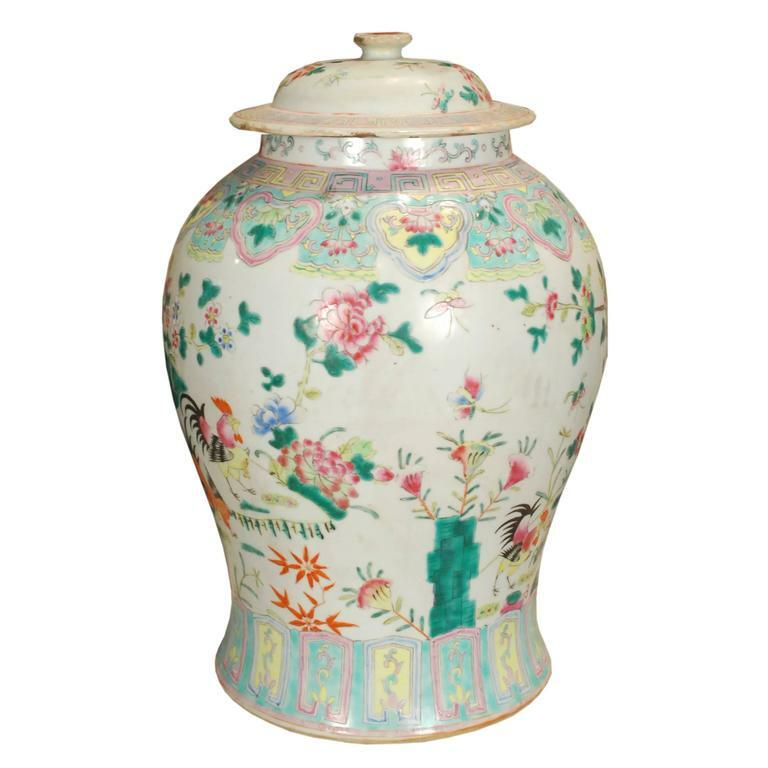 20th century jumbo Chinese ginger jar.